There were tons of updates from the TCA Winter 2019 Press Tour from ABC and cable network Freeform yesterday. 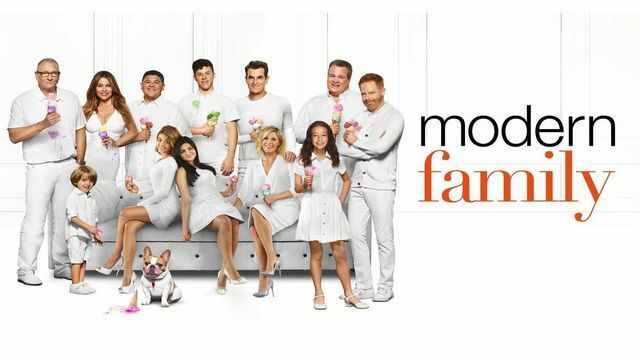 Currently in its 10th season, ABC announced today that it has picked up the Emmy(R) Award-winning series Modern Family for an 11th and final season. This wonderfully large and blended family will continue to delight audiences for the 2019-2020 fall schedule with its honest and often hilarious look into the warm and sometimes twisted embrace of the modern family. Produced by Twentieth Century Fox Television in association with Steven Levitan Productions and Picador Productions, the series airs Wednesdays at 9:00 p.m. EST on The ABC Television Network, streaming and on demand. ABC announced that it has renewed the hit drama The Good Doctor for a third season, A Million Little Things for a second season and Shark Tank for an 11th season. American Housewife will air two special music-themed episodes this spring. The American Idol episode, airing Tuesday, March 19 at 8:00 p.m. EDT, includes special appearances by music industry forces and the superstar judges of ABC's American Idol, Luke Bryan, Katy Perry and Lionel Richie, along with Emmy(R) Award-winning host and producer Ryan Seacrest. The season finale, "A Mom's Parade," will air Tuesday, May 21 at 8:00 p.m. EDT. The extraordinary musical episode includes four original songs by renowned composer Justin Paul (The Greatest Showman, Dear Evan Hansen) and Glenn Slater (Tangled, School of Rock-The Musical), as well as choreography from famed choreographer Ashley Wallen (La La Land, The Greatest Showman). ABC will air a special first-look episode of Videos After Dark, a new comedy reality series hosted by comedian Bob Saget and featuring home videos with an edgier twist, Tuesday, March 12 at 10:00 p.m. EDT), following the epic conclusion to the two-night season finale of The Bachelor, on The ABC Television Network. Avoiding a sophomore slump, critically acclaimed series grown-ish has been picked up for a third season on Freeform. Starring Yara Shahidi, Trevor Jackson, Francia Raisa, Emily Arlook, Jordan Buhat, Chloe Bailey, Halle Bailey, Luka Sabbat and Deon Cole; the series is a contemporary take on the issues that students face in the world of higher education. Freeform announced that Jordin Sparks (Sparkle), Matt Shively (The Real O'Neals) and newcomer Brooks Brantly have been cast in the highly anticipated new comedy series Besties (working title). Sparks will play Becca; an ambitious overachiever from a hard-working, conservative African-American family, who learns that her birth mother is actually white. Shively will portray Matt, a former athlete and current bar manager, who can't completely let go of his glory days. Brantly will portray Becca's brother Todd, a mama's boy who still lives in their parent's basement. Set in Los Angeles, the series will follow Becca and her newly discovered half-sister Jesi, as they're thrown into each other's lives by an online genetics test and have to figure out how to go from strangers to sisters. Ranada Shepard, Casey Johnson and David Windsor serve as creators and executive producers. Kenya Barris also serves as executive producer.